Very excited to get our repeat QAL underway! 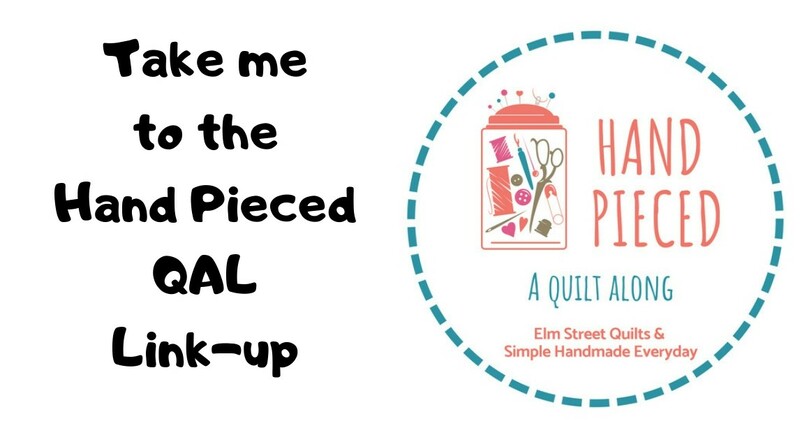 Today's post will provide a general overview of the QAL including fabric requirements and suggested supplies for paper piecing. For more information on the repeat QAL and the overall schedule, visit the repeat QAL page. Learn about the terrific sponsors and the three ways that you can earn a chance to win a prize! 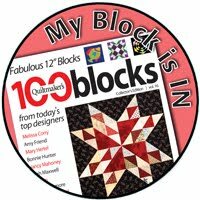 Come back next Monday, June 13 for the paper piecing tutorial and the pattern for the letter e! 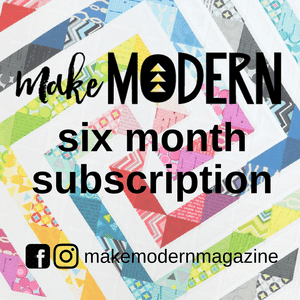 The repeat QAL will provide instructions for two different quilts. The first titled repeat and finishes at 30'' square. The second is titled 'quilt' and finishes at 18 x 8''. You can make a subset of the quilt or change this up if you'd like - just visit the repeat QAL page for allowed options. For my quilt, I used three colors. The primary red color was American Brand Solid (AMB) Dark Tomato (#81). The binding is AMB Black (#3) and the background is AMB Light Cream (#2). American Made Brand fabric can be purchased at many quilt stores including Fat Quarter Shop. I've charted out some additional options for changing up the color of the start, the inner border, the outer border and maybe the word quilt! Option 1 matches the sample pictured above. Fabric yardage requirements were generally rounded up to the nearest 1/4 yard. This quilt would be fun scrappy! If you'd like to do each letter in a different color, a charm square or slightly bigger should be fine for each letter. First, you need lightweight paper that will tear easily and that you can see through to make sure you've placed the fabric correctly. I like this Foundation Paper from Carol Doak. It works well and is not very expensive. Second, you need to press seams after you stitch. I will iron often and will also sometimes just use a Clover Finger Presser to make sure the piece is lying flat. Finally, you'll need to trim each seam to a 1/4 of an inch. I'll use a postcard to fold back the paper at the stitching line (this will become clearly in next week's tutorial). You can use a regular ruler but this Add a Quarter (Inch) Ruler makes the whole thing much easier - it has a lip that hugs the edge the postcard/folded over creates. For your fabric and thread needs consider buying from the companies that are supporting the QAL and my blog! Aurifil thread can be purchased at Fat QuarterShop, at Green Fairy Quilts or at many other quilt stores. American Made Brand solids (or your other fabric needs) can be purchased at Fat Quarter Shop. Thanks for being a part of the repeat QAL! This will be so fun. I am not a paper piecer, so I'm doing less letters. My quilt will say, "I * quilts". Some of the supply links in this post do not work. Myra, that sounds great - I can't wait to see your fabric choices. And thanks for telling me about the links - I fixed them!